Wedding season is around the corner yet again and it that exciting time to start the planning. What to do, where should I have it, should I do destination. All these questions, so little time. Don’t worry, take a deep breath, don’t panic. I got you. 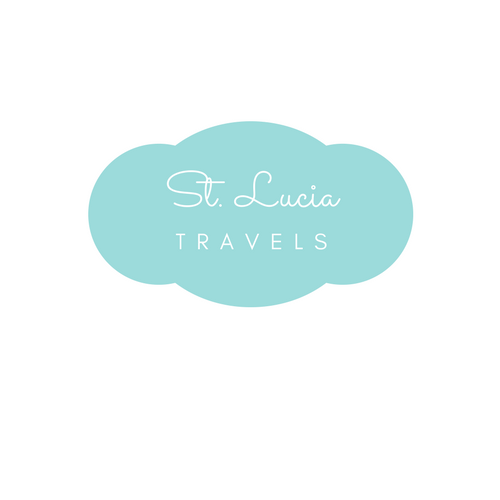 I am here to show you why you should choose St. Lucia for your destination wedding. I will help you out with some venues, wedding planners photographers and so much more. Well, let’s get started on this amazing new journey in your life. With my style of photography, I let St. Lucia do the work. I’m a tour guide who is in awe of this island. I love showing off this little gem they call Helen of the West. Whether my clients are local or from abroad, I give them an island experience that fascinates them, that captivates with feelings of admiration, and I capture them at that moment. I try to get them infected with the beauty of the island and I capture those moments. This has brought me so much joy! Capturing that moment, a child sees their first dolphin in the wild, or seeing couples fall in love all over again… that raw emotion that people exude, that happiness, that’s what I live for. That is what I love to capture. You can book Hans with code JSTS @ ambassador@serenitytvl.com for some great rates. Taking the time to pay details to the scripting of each couple’s intimate details and creating a masterpiece using nature, raw and candid emotions and capturing that memory which lasts a lifetime. The camera acts solely as an avenue to bring my creative vision to life. Using what was previously black and white words on a script, to vivid and colorful scenes of beauty, love and what can only be described as pure bliss. As one view these creative images, they are once again enamored by the memory that is once again being brought to life by photography. Photography has become a means for me to capture stories that can’t be said in words; for a portrait is not made through a camera but on either side of it. I consider myself as a creative and energetic young man who is always eager to learn new ways of exploring the beauty and unseen aspects of life. I fell in love with photography about five years ago when I realized that small details excite me. I count myself fortunate to have grown up in the historic village of Dennery where I trailed my yearning for adventure and exploration. I chose photography because of the thrill and exhilaration of capturing unique shots and although I know its overrated, indeed a photo is worth a thousand words. I photograph love. My husband and I cover weddings as a team and our main goal is to give our clients realistic, natural and vibrant images that capture special times in their life. We believe it is important to have your wedding day documented fully by including not only the details that may have been planned for the day but the candid memories from the day that will warm hearts long after the wedding. I am a St.Lucia wedding photographer with a creative vision, creating moods and also telling stories with my photography. My posing is natural and candid also my editing style is moody and romantic. My shooting is engaging, fun as well as adventurous. I look forward to more weddings in St.Lucia and love stories in 2019. Having someone to take care of all the big details for you, especially when having a destination wedding is like a dream come true. Put your special day in some of the best wedding planners on the island and let them do all the grunt work. It is your day, why do you have to work so hard. I reckon I am one of the luckiest people I know. Why you may ask? I have the best job in the world, that’s why. I have met some truly lovely people over the years and so many couples, that have become friends. I get inspiration to be inspired, to laugh, to cry to tear my hair out and be amazed, sometimes all in one day, and I get to do in all inSt. Lucia, my adopted home. I get to share one of the most joyous days in someone’s life, on my world, that can’t be beaten. Choosing a venue in for your wedding day can be very stressful, especially when it comes to having a destination wedding. Here are a few places that are a little out of the ordinary, but your wedding photos are going to be phenomenal. It is your wedding day and you deserve to be treated like royalty. This is why Castles in paradise makes perfect sense to have your St. Lucia destination wedding. Their staff is welcoming and always ready to give a helping hand, so your wedding day can go on without a hitch. Not only is Castles in Paradise great for weddings, but also vow renewals or just a private trip for you and your boo. Book your wedding here with them today, I promise you won’t regret your decision. Email @hello@st-lucia.org for more info!!! Villa Susanna is just such an amazing location to have your St. Lucia destination wedding. If you are someone who wants the outdoor experience, getting married under the gazebo, having the Caribbean Sea as your backdrop, then you should definitely have your wedding at Villa Susanna. Not only can you have a magical wedding at Susanna Villa but you and your guest can enjoy a perfect Caribbean vacation. Book your Caribbean destination wedding with Susanna for the wedding of your dreams. Email at hello@st-lucia.org for more info!!! Imagine you, and the love of your life in front of all of your family and friends, surrounded by the rustic stone ruins of the Pigeon Island National Park. If you love soaking in history then this place is full of it, and it would be the best place to have your St. Lucia destination wedding. You look into your partner’s eyes, already seeing the many years you are about to embark on, the waterfall cascading behind you as you say your vows to one another. At this moment, it’s just the two of you and the waterfall, nothing in the world else matters. Imagine the backdrop in your wedding photos are of the luscious green piton mountains, with the deep blue sea right beneath it, and the breathtaking clear blue skies. You can have this amazing view by hiring a wedding planner or having it at one of the many resorts with that view. Sugar Beach, Boucan by Hotel Chocolat, Stonefield Estate Resort, Anse Chastanet, Jade Mountain, and Caille Blanc Villas are just examples of a few of these resorts. Your wedding day should be a magical one and deciding to have it in St. Lucia will give you just that. Send us an email if there is anything else you need for your wedding day in paradise island!!! !